ORONO — A National Theatre Live Broadcast of “The Madness of King George III” will be held at 7 p.m. Friday, Jan. 11, at Collins Center for the Arts. Written by one of Britain’s best-loved playwrights Alan Bennett (“The History Boys,” “The Lady in the Van”), this epic play was also adapted into a British Academy Film and Television Arts Award-winning film following its premiere on stage in 1991. 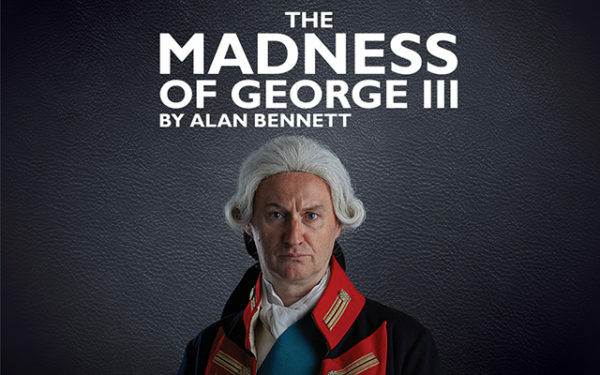 The cast of this new production includes Olivier Award winners Mark Gatiss (“Sherlock,” “Wolf Hall,” NT Live “Coriolanus”) in the title role, and Adrian Scarborough (“Gavin and Stacey,” “Upstairs Downstairs,” “After the Dance”).